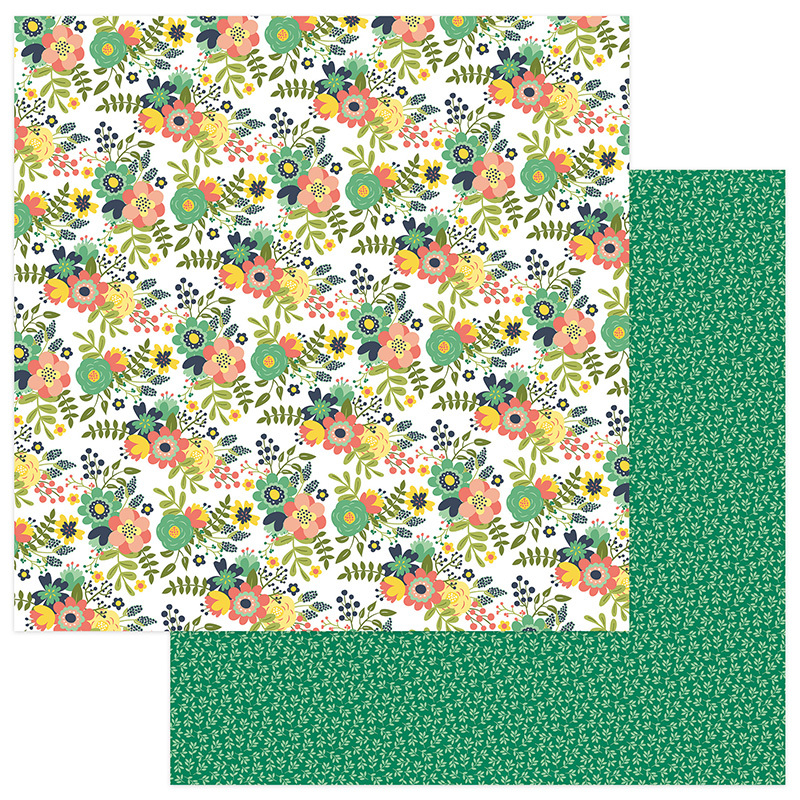 This 12x12 double sided paper has Bright Florals & Vines on the front side. The reverse side is a beautiful Green with Little Leaves throughout. Part of the Thinking of You Collection by PhotoPlay Paper.